A brief summary of all the 9 characteristics of ‘Ibad-ur Rahman. Who or What is ‘Ibad-ur Rahman? They respond to the Ayat of Allah s.w.t. Those will be rewarded with the highest place because of their patience. Therein they shall be met with greetings and the word of peace and respect. In this final article, we will look in detail of the awesome rewards that Allah s.w.t. has promised them. After mentioning the beautiful attributes of the ‘Ibad-ur Rahman and their good words and deeds, Allah s.w.t. then says that believers who are described with these beautiful characteristics will be rewarded with Jannah. Jannah is described as “the highest place” in this ayah because of its elevation. Know that each of these nine beautiful qualities of ‘Ibad-ur Rahman require patience and consistency. It means that when we take these qualities, it must be for a lifetime. Our struggles to beautify our akhlaq, to follow the footsteps of ‘Ibad-ur Rahman, to become a better slave of Allah s.w.t. is a lifetime effort. And if we are able to make that as our lifestyle, then Allah s.w.t. will reward us with lofty palaces in Jannah. “Salamun ‘Alaikum (peace be upon you) for that you persevered in patience! O the people of the Fire! No death anymore! The ‘Ibadur-Rahman will be granted with the BEST abode, the BEST home, the BEST real estate that they will ever attain! Its appearance will be so beautiful, that it’s impossible to imagine by the human mind. Subhanallah! Such are the amazing rewards for ‘Ibad-ur Rahman. From now onwards, let’s aspire to become from the group of ‘Ibad-ur Rahman. Let us do our best in doing good deeds that are pleasing to Allah, and steer away from all types of sins for the sake of Allah. May Allah s.w.t. 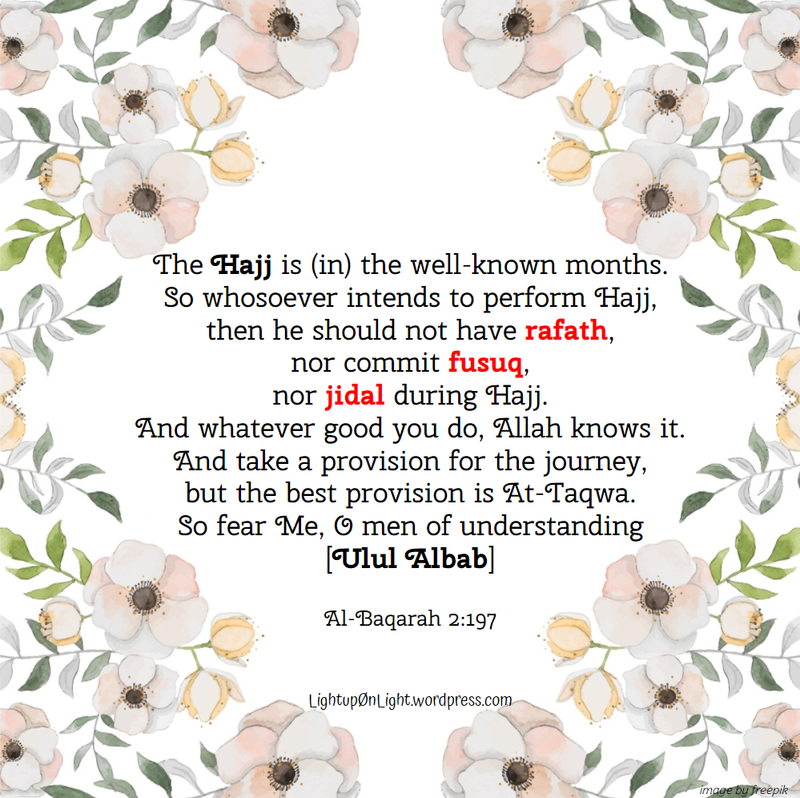 make us all truly ‘Ibad-ur Rahman! Allahumma ameen! Alhamdulillah, with that, our lessons on the Nine Characteristics of the ‘Ibad-ur Rahman has come to an end. I advise myself foremost, and then to others, to always come back to these lessons so that they remain in our hearts, and not forgotten by our limbs. Feel free to use these articles as teaching materials for your children and other loved ones. May this series be a motivation to work hard in beautifying our akhlaq for the pleasure of Allah s.w.t. Wa as’aluka an taj’al kulla qada’in qadaytahuli khayran. And I ask You to make every decree that You decree concerning me good. If you would like to read the previous 9 Characteristics of ‘Ibad-ur Rahman posts in chronological order, please click the links below. Jazakumullah khayran. Ibn Jawzi rahimahullah said tawakkul is to return all matters to Allah s.w.t. with the utmost trust in His way of handling our affairs. We know personally that what we do or choose for ourselves is good. But more than that, we must believe that Allah governs our affairs far more better and far more perfect than any of our carefully laid-out plan. It is only with this firm conviction that, after exerting all efforts and avenues, we can let go our affairs entirely to Allah alone, and accept any decision made by Allah with a sincere and open heart. This is why tawakkul is not just about returning our affairs to Allah, but it must go hand-in-hand with a sincere heart. When there is something that we really, desperately want, something that we have tried so hard and prayed for countless times, but what Allah has decreed upon us is something different than what we have hoped for – ask ourselves, at that precise moment – would we accept His decree and be contented? Or would we reject it out of disappointment and despair? If we reject and complain, then this is not tawakkul. It has no value. And this is where we often fail. So it is critical that our tawakkul upon Allah is accompanied with the sincerity and contentment of the heart. Blessed is the one who has tawakkul, because even if he doesn’t get what he prays for, he is still pleased with the outcome due to the certainty that Allah’s decision is always, without a doubt, THE BEST. It’s not easy to resist our emotions when things don’t go as what we’ve hoped for, and this is why the reward of tawakkul upon Allah is Jannah. Jannah needs to be earned. So pave your way to Jannah with tawakkul upon your Rabb. (Other) faces that Day will be joyful. Glad with their endeavor. Where they shall neither hear harmful speech nor falsehood. Have you always wondered why Jannah is always described as high gardens in the Qur’an? When we travel or go on a road trip, don’t we normally stop upon reaching higher grounds – where we can see far? When we go to a hotel, we want the top floor because we want the view. We go hiking on top of the hill, because that’s the most beautiful part. The most expensive property in real estate is the one with the best kind of view! And on top of that, Allah s.w.t. says there will be no useless, lewd, obnoxious speech in Jannah. One of the pleasures of Jannah is that there will be no bad talks, and we may wonder: What’s the big deal? Because in this dunya, no matter how rich or successful we may be, if someone – especially our loved ones – talk to us in a hurtful way, will all our wealth and success protect us from not feeling hurt? We can have the best property, be the wealthiest person, but hurtful words can take all those pleasure away. This is one of the gifts in Jannah. Therein will be a running spring. Therein will be thrones raised high. And cushions set in rows. These are the beautiful estates, which no eyes nor mind could ever imagine, that will be granted to the believers. May Allah s.w.t. grant us all Jannatul Firdaus. Don’t settle as you are right now, strive hard to be a Muhsin! Allah s.w.t. says, “For those who have done good, is the best, and even more.” Scholars said that the ‘best’ refers to the best reward, i.e. Jannah and all the treasures that it contains; while the word ‘even more’ means that on top of all the immensely beautiful treasures that Allah will give the believers in Jannah – He will grant the honor of looking at His Noble Face – and this is the increase that is far greater than anything that had ever been given. Ibn al-Qayyim rahimahullah wrote in his Madaarij as-Saalikeen that one of the greatest joys of Jannah is that of gazing upon the Countenance of Allah, hearing His Words, the delight of being close to Him, and attaining His Pleasure. There is no comparison between what Jannah contains – the delightful food, drink, clothing and images – than this sublime joy. The least of His Good Pleasure is far greater than Jannah and all that it contains. This should be our aim – that we want to be granted the honor of looking at the Countenance of our Rabb. From the word [ahsanu], we learn that this specifically refers to the Muhsin. Allah s.w.t. is saying: For the Muhsin, is the BEST, and EVEN MORE! Allah s.w.t. honors the Muhsin in this ayah, granting them with the best of THE BEST rewards – because the Muhsin is THE BEST of all Muslims. The first level is Islam – becoming a Muslim, by pushing and bringing ourselves to do the actions that Allah s.w.t. has commanded us to do. When the word Islam is used in conjunction with the word Iman, like this article, it refers to outward / physical actions and words – i.e. the physical actions conform to what Allah s.w.t. has commanded us to do. The second level is Iman – becoming a Mu’min, where we are not only doing what has been commanded by Allah, but we’re beginning to taste the sweetness of faith. When the word Iman is used in conjunction with the word Islam, it refers to inward beliefs, and actions of the heart. The third level is Ihsan – becoming a Muhsin, which is to worship Allah as if we see Him, and even if we cannot see Him, then know that He sees us. [Al-Ihsan] means to perfect something and complete it. It is derived from al-husun which means al-jamaal (beauty). When it is used in conjunction with either the words Islam and/or Iman, Ihsan means perfecting one’s outward and inward deeds. Remember that a Muslim might not be a Muhsin; a Mu’min might also not be a Muhsin; but a Muhsin is definitely both a Muslim and a Mu’min – encompassing all three qualities. This is the highest degree of Islam. Note: When the word Islam, Iman, or Ihsan is used alone, there is no difference between them, rather each of them, when used alone, refers to the entire religion. The ayah says that the Muhsin will be granted to see the Noble Face of Allah s.w.t. in the akhirah, because they are those who truly strive to serve Allah as though they could see Him in this dunya. The first and the highest degree of Ihsan is [mushahadah] – worshipping Allah as if you can see Him. Whoever worships Allah with awareness of His nearness, and acts as if he is before Allah, and looking at Him, is bound to fear Him and venerate Him. This is a very difficult station to reach but it is attainable. With this in mind, let us reflect our lifestyle. How often do we remember Allah and that He is watching us? How many times do we hide in our room sinning, whilst forgetting that Allah is Al-Basir? How many times do we backbite, lie, and curse someone, whilst forgetting that Allah is As-Sami’? How truly far are we from reaching this station? This is something that we should try to rectify every single moment in our lives. This should be our everyday resolution. Believers always aim high! Because our goal is not just to sneak by the gates of Jannah – but it’s about getting in and at the highest place – for all eternity. And for the Muhsin, who are foremost in doing good, they will be the ones who will be closest to Allah, and in the highest degrees of Jannah. May Allah s.w.t. help us and our loved ones become a Muhsin, Allahumma ameen!